Well, after weeks of learning, setting up a mass of equipment with more knobs and dials than I've ever seen outside of Blake's Seven (that's a reference to a show that was on UK TV in the late 70's, better known as the Shaky Spaceship Show), and gearing myself up to talking for 40 minutes without too many um's and er's, here it is! My first podcast. For this first episode I spend some time telling you my story of getting into the vacation rental business and how we went from 0 – 6 properties in five years. I also talk about how managing over 200 properties on behalf of other owners gives me quite a good insight into what works and what doesn't. 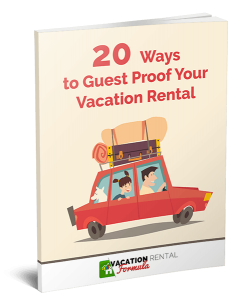 I'll be sharing some of the great resources there are to help you manage your vacation rental business. This week I’m discussing Communities and Forums that I visit regularly to get the latest hot topics and also to find out what other owners are experiencing. I’m working on the iTunes subscription so you’ll be able to download future episodes there and will let you know when that’s up but for now you can just download the episodes to listen to later or just get your headphones on and listen to it here on the blog. In the full spirit of transparency and honesty, I think I over-edited this episode. In trying to save you from my hesitancy, occasional repetition and what to me were extended silences, there is some choppiness here and there. You may not notice it and perhaps bringing it to your attention is not the best idea, but hey, I'm learning, and have already decided that I'll be less picky in future shows. After all, the content is going to be great, regardless. @Lucie Nolette Hi Lucie – Thank you for listening! I just posted the second one and will be doing so weekly after this. Let me know if there is any topic you’d like to see covered. I had to admit it was a very well said post and it was just everything what we were expecting to hear. Just the right strongly stated statements totally give me a lot to think about and I’ll surely consider these thoughts in my work… Thanks for sharing! Two thumbs up! Heather, I can’t thank you enough for offering your Podcasts for free. We just purchased our Lakehouse in July and it is a bit of a project thus far. 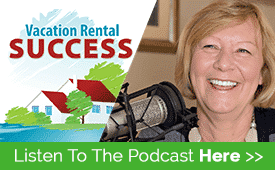 Though most of our activities this summer through fall will be focused on renovation, I downloaded all of your podcasts to start learning the vacation rental business. My boyfriend and I listen to the podcast as we drive to our property, and it seems as though each episode Sparks much discussion. The topics you are covering are spot on and I couldn’t be more grateful! We are excited to launch our lake Cape Cod lake house rental next summer, and feel much more confident having all the resources you have compiled to guide us to success!